At only 21 kilograms, the Honda EU20i utilizes Honda’s state-of-the-art inverter technology to provide 2000 watts of lightweight, quiet and efficient power. This generator will run for up to 15 hours on a single tank of fuel when using the Eco-Throttle feature. This easy-starting generator produces only 59 dB of sound at a distance of 7 meters even under load; quieter than common speech. 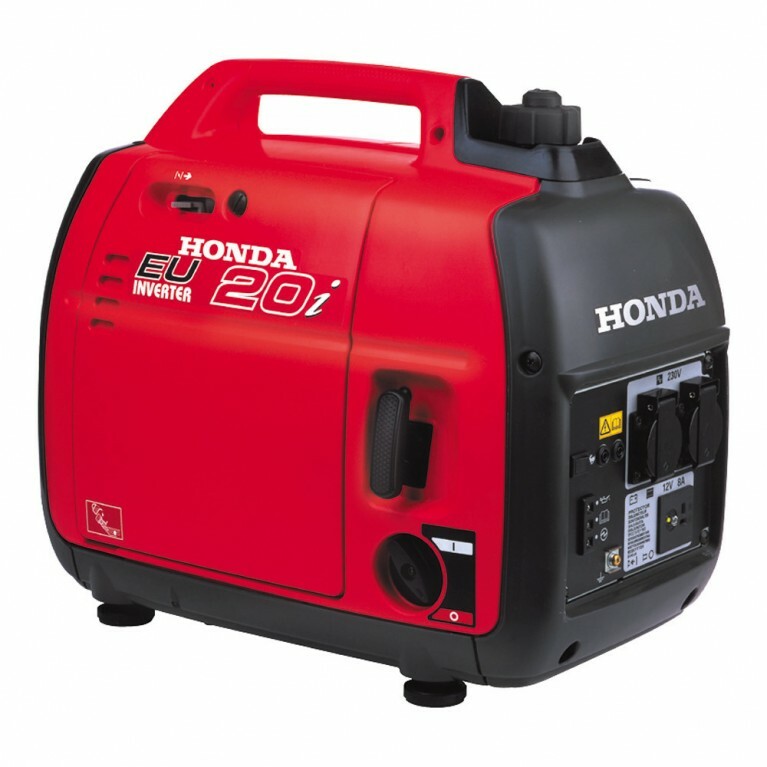 The Honda Inverter Technology makes this generator ideally suited for use with sensitive electronics (e.g., computer, fax, printer, and telephone, stereo) because the generator produces a clean sine wave of energy and precludes surging.